Located on the main floor of Lennox/Addington Residence, these food locations are really convenient! 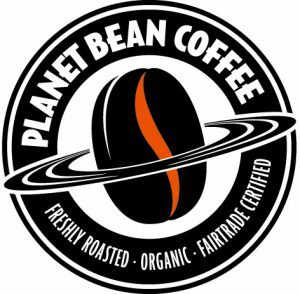 Amazing coffees from around the world, Handcrafted beverages to discover and enjoy. Turn your morning coffee run into your morning breakfast. While we’re pouring your perfectly brewed coffee, enjoy any one of our delicious breakfast sandwiches, wraps or Starbucks Whole Grain Oatmeal. Don’t forget to treat yourself to delicious pastry. This quaint cafe has become a favourite “stop at that top" of Gordon street hill for students, faculty and staff. We accept University of Guelph Meal Plans and we're proud to serve our neighbours in the surrounding Guelph community. We know our guests appreciate a great cup of coffee and conversation so we’ve created an environment that offers comfortable seating with complimentary wifi for a quick email or social media check in. Paired with baristas that celebrate craftsmanship and take pride in what they make, there is truly a little love in every cup at this neighbourhood cafe. Whether its breakfast, lunch or dinner- we’ll turn your meal into an experience! 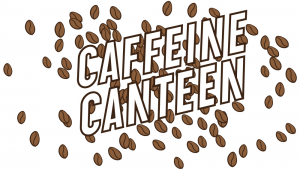 For added customer convenience, Hospitality operates several snack bar/coffee shops in main classroom buildings across campus. These locations have extensive hours and accept student Meal Plans anytime. Located right inside the South Residence, you can come on in, in your favourite slippers! Between these two facilities you can enjoy breakfast, lunch and dinner! Featuring extensive salad bar, omelette bar, pasta bar, lots of vegetarian choices, vegan options, deli-Licious Creations, a hot grill as well as the popular Pizza Pizza franchise! Windows Café is a cozy bistro providing students with a great spot to dine, chat with friends or just stretch out and relax. Televisions are located throughout the café for your added enjoyment. Located in South Residence, no need to venture outside on a cold and wintry day when you live in South! 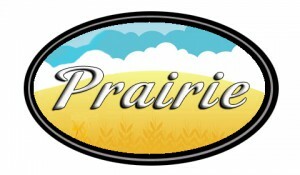 Prairie Dining Hall is conveniently attached to your rez! Big screen television – entertainment while you eat! 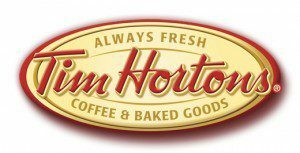 Located on the ground floor of the Engineering Building (Thornborough), this Tim Hortons kiosk offers a wide selection of Always Fresh Tim Hortons beverages and pastries! In a hurry? Grab a salad, sandwich or wrap from the Goodness To Go fridge. Accepts student Meal Plans, Debit/Visa/MC. Sorry, we are not able to process Tim Cards. Located on the main floor of the Library, this new full service Starbucks offers a seating area in a relaxing environment. Turn your morning coffee run into your morning breakfast. While we’re pouring your perfectly brewed coffee, enjoy any one of our delicious breakfast sandwiches, wraps, etc. Located on the main floor of the University Centre, this Starbucks is a great place to get your morning coffee on the way to class. During the winter it's the perfect spot to get out of the cold and warm up with a nice hot beverage before you catch the bus! Residence Student Meal Plans are accepted after 1:30 p.m. Monday through Friday and all day during weekends. Located on the main floor of the University Centre. Enjoy a large selection of specialty shops including Nature’s Best (vegetarian), Mom’s Kitchen (home cooking), a Deli with Grilled Sandwiches, the Wok-a-thon, and some of your favourite brands such as Need a Pita, KFC/Poutine’s, and Pizza Pizza. The UC Food Court also offers a Subway and Starbucks. Residence Student Meal Plans are accepted in the UC Food Court, UC Subway and UC Starbucks after 1:30 p.m. Monday through Friday and all day during the weekends. Residence Student meal plans accepted anytime! Located on the 2nd floor of the University Bookstore in the MacNaughton Building. Pages Coffeehouse features a full service Tim Hortons. Students can relax and enjoy their soup, sandwiches and baked goods in a casual dining area that resembles an oversized living room with large windows overlooking Branion Plaza. Located inside the East Residence, Eastside offers convenient “grab and go” meals, sandwiches, salads, fair trade coffee, a wide variety of beverages and snack items. Located on the ground floor of the Gryphon Centre, Gryphs Sport offers a selection of beverages and pastries from our Tim Horton’s kiosk. We also recommend a salad, sandwich or wrap from the Goodness To Go fridge. You don’t have to be an athlete to shop at Gryphs Sports Shop! ATM on site. Residence meal plan, Debit/Visa/MC accepted. Sorry, we are not able to process Tim Cards. Need Custom Orders for your Team, Club or Residence Hall? 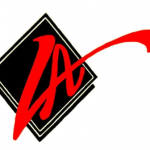 Visit our website! This lively spot, located on the second floor of the Gryphon Sports Centre, is the place where athletes and professional fans meet to watch a live hockey game on the rink below or a favourite televised sporting event on one of 28 TV’s including 2 big screens with 4 satellites. 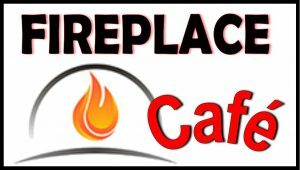 This is a licensed facility but students of all ages are welcome as Meal Plans are always accepted (excluding alcohol). The focus is on good food and good fun. Gryphs Restaurant is Licensed under the A.G.C.O. Located in the Athletic Centre, second floor, above the rock climbing wall. Enjoy a cool beverage after a workout or a HOT coffee while you relax near the fireplace. Great spot to grab a sandwich or salad! Located in the Pathobiology Building. Second Cup has become a second home to hundreds of U of G guests every day. And because we know our guests appreciate a great cup of coffee, we’ve created an environment that highlights this careful coffee selection process, pays homage to the global coffee community, and shares with them our wealth of coffee knowledge. Paired with baristas that celebrate craftsmanship and take pride in all that they do, there truly is a little love in every cup. Second Cup has become a second home to hundreds of U of G guests every day. And because we know our guests appreciate a great cup of coffee, we’ve created an open laid back environment with lots of comfortable seating that highlights this careful coffee selection process, pays homage to the global coffee community, and shares with them our wealth of coffee knowledge. 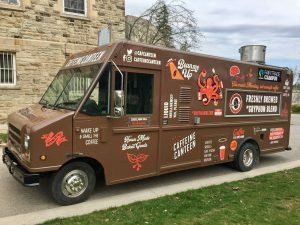 Hospitality Services Caffeine Canteen Food Truck will serve meals for breakfast, lunch, special events, and sporting events at various campus locations. Follow us on Twitter, Facebook & Instagram for our daily hours and location. 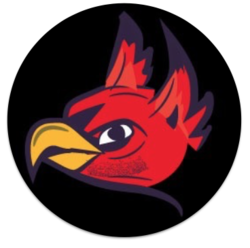 Share your photos on social media with us using #GryphonBlend. 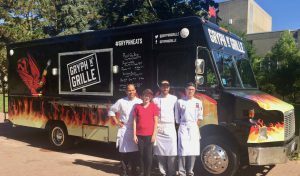 Hospitality Services Gryph N’ Grille Food Truck will serve meals for lunch, dinner, special events, and sporting events at various campus locations. Follow Gryph N' Grille on Twitter or Facebook for our daily hours and location. Share your photos on social media with us using #GryphNEats.